silver telling sonic off. he was HEATED. HD Wallpaper and background images in the Silver the Hedgehog club tagged: silver the hedgehog. Or maybe he stole his bubble wrap. silver:CAUSE YOU DESTROYED MY LIFE!!! blaze:Sonic he's rigth....IM LEAVING YOU!!! HAVE AMY CAUSE SHE LOVE YOU!! Silver: STAY AWAY FROM BLAZE!!!! i make him SUPER aggressive in my manga and stuff because ppl in rl bash him and hate him SO HE SNAPPED FINALLY!! Silver- For the last time, DON'T MAKE A SMART REMARK ABOUT MY HAIR! I KNOW IT LOOKS LIKE THAT! SO BUG OFF! I like the cookie VO. That's like Vexx with me. He looks like someone stole his cookie. No one knows who Vexx is. I'm sad. 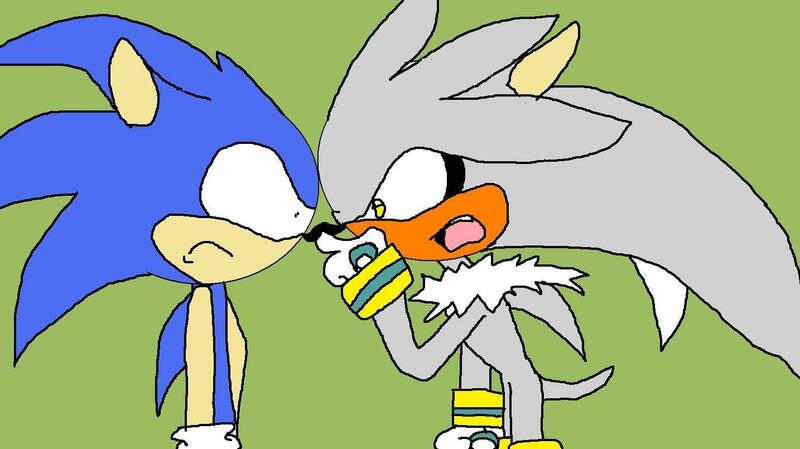 Silver: AND YOU TELL THOSE STUPID FANGIRLS AND FANBOYS OF YOURS TO QUIT CALLING ME GAY AND A COCKAHOG! ARE WE CLEAR!? Go Silver go! Kill dat blue hedgehog!